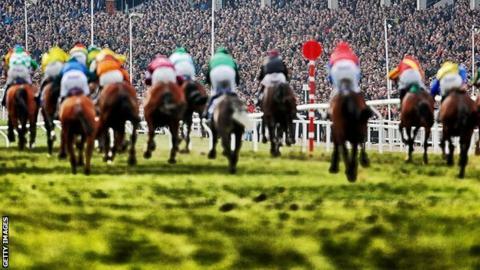 Reports and results from the 2016 Cheltenham Festival, which took place from 15-18 March. Favourite Annie Power, ridden by Ruby Walsh, powered to victory in the Champion Hurdle, the highlight of the opening day. Sprinter Sacre beat favourite Un De Sceaux to win the coveted Queen Mother Champion Chase for a second time. Even-money favourite Thistlecrack justified his tag to win the World Hurdle in impressive style. Tom Scudamore's mount, trained by Colin Tizzard, was barely troubled in the three-mile race. The 9-4 favourite Don Cossack and jockey Bryan Cooper held off the challenge of Djakadam to win the Gold Cup. The winner, trained by Gordon Elliott, led home an Irish 1-2-3 with the runner-up and third-placed Don Poli both trained by Willie Mullins. Leading English fancy Cue Card fell with three fences to go. Olympic cycling champion Victoria Pendleton finished fifth in the Foxhunter Chase on Pacha Du Polder.